RETIRE IN STYLE BLOG: Senior Citizen Travel: The cost is up to you! Senior Citizen Travel: The cost is up to you! 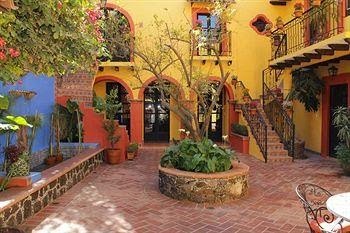 San Miguel de Allende, Mex. The first question anyone wants to ask when they find out your are traveling is "How much does it cost?" Can you blame them? Really, why even dream about going to San Miguel de Allende, Mexico or Malaga, Spain if you know you will never be able to go because it costs too much. But, if you want to get a real number, you need to do your homework. Besides, it is kinda rude to ask a person a question like that. When Bob Lowry over at Satisfying Retirement was traveling this summer, I noticed that someone visiting his blog asked anonymously how much it cost to travel in an RV. Bob is a blogger for retirees and seniors. I know Bob personally and I know that he and his wife bought their RV from a private party, travel with a dog and live in the Southwest. But, as for the amount he was spending on that trip, I would never, never have had the nerve to ask even though I did wonder because my husband and I used to own a motor home and it ate our socks and our underwear too. It is very expensive! Bob is a very savvy business minded man so I imagine he did not spend more than he wanted. So, here is the deal. There are a lot of ways to travel. You can spend a little or you can spend a lot. But let me say here that you can also waste your money if you don't do your homework. We do everything we can to save for our trips. But sometimes it is not the money in the bank. The cost for us is related to how much we save using credit card miles or points. For example, if you use a credit card for almost everything every month and you pay it off, you can accumulate enough points or pay for airline tickets, reducing the cost of your trip considerably. You have to pay it off though or the interest will eat up all your travel money. My husband trolls for hotel and travel deals all the time. Sometimes we score and sometimes we do not. The key here is to always check the review for anywhere you go. For example, a cheap hotel in San Carlos, Sonora, Mexico is NOT a good deal. I can attest to that personally! If you own a timeshare, always check to see what that service has for you in the area you want to travel but always do a double check with TripAdvisor or some other online website. You will not regret it. Travel on the shoulder of the season...always. We do. We get the best deals right before the beginning of high season. Be aware of weather concerns in low season...hurricanes and tropical storms are not any fun. We have found that three star hotels are usually pretty nice. Check the reviews to see what people say. We stayed in one in Victoria, B.C. It was not on the waterfront but it was nice. We like a short walk anyway. You can travel very cheap if you want to do that. We used to say that we only sleep in our room so who cares. We have also flown on the very cheap airlines where you pay to store your luggage in the overhead compartment. We will not do that again. But, at the time the choice was to stay at home and didn't want to do that! We are a little more picky now because we can be. But, unless I am demanding something very special, my husband finds wonderful affordable accommodations. He reads all the reviews and makes judgement calls about where we stay. We do not travel without some pretty solid plans anymore. But we are flexible enough that we can do what we want. We will travel to Mexico in a week. We have hotel reservations near the airport in one city, a shuttle to another and repeat the plan when we return home. We have talked to people that have been there so we kind of know what we are going to do. We travel with copies of passports, tickets and credit cards. We do not carry cash nor do we keep all our credit cards in our wallet. I do not wear jewelry. Oh, and we get flu shots if we need to do that. These are all just smart things to do. Finally, in Mexico we never stop to talk to anyone inside the airport unless we have made arrangements to meet a hotel shuttle service there. The con-men are everywhere inside it seems and they look very official. We just keep walking until we are outside. It works better that way. That is all for now folks. I know, I didn't tell you how much it would cost...sorry. You need to figure out how you want to travel and that will determine how much you will need to spend. Good luck. Some people have no clue as to how much travel costs. We travel a great deal. My extended family thinks we are rich. LOL. I know what you mean. We travel very inexpensively yet we always feel like we are traveling in luxury. I love it. I think this depends on your perspective. I have asked people how much it cost (approximately) to go somewhere before, and over the years I have shared the cost of my road trips, I think I even estimated the cost of my upcoming train trip. I remember Tamara always used to post the cost of her trips. I agree that we should do our own research as well, but some places are naturally more expensive than others?? Yes you are right Barbara and we all have different tastes when it comes to travel. Food, lodging, types of transportation and even our physical condition can affect the cost of a trip. That is why I would never venture to state the "real" cost. Travelling is not a cheap hobby in fact it demands more and more money. Everyone travels according to his budget. The keys that you mentioned in your blog are very nice. I am a tourist and I have been visiting many countries and cities. It has become my passion now. Malaga is really expensive very much but it was amazing and memorable tour of this region. It is the most populous city of Andalusia and the sixth largest country of Spain. During my tour I visited its many attractions like Museum of Glass and Crystal, Museo Automovilistico De Malaga, Kelipe Centro de Arte Flamenco, Puerto de Malaga, Museo de Artes y Costumbres Populares and Malaga Park. They all were very beautiful and gorgeous. I would to visit them again. Recently I am enjoyingbus tours from toronto to montreal and quebec city. It is going awesome and rocking.